Hi guys, today we will be reviewing Gosh cosmetics newly launched liquid matte lipsticks. 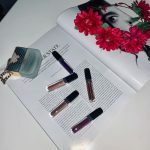 We’ve tried our fair share of liquid lipsticks honestly we’ve been drawn more and more towards these as opposed to the traditional lipstick bullets in twist-up tubes. We love the look of matte liquid lipsticks in general, because they’re more pigmented, more long-lasting and who doesn’t love added drama to their lips?! 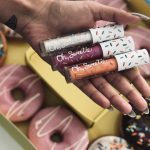 Despite all the hype about liquid lipsticks, most of these do tend to make your lips super dry and that’s definitely not appealing. Nobody wants dry and chapped looking lips peeking through that beautiful mauve or red color on your lips. It’s interesting to see different brand’s take on how they handle these and slowly evolve them into better, long lasting products. 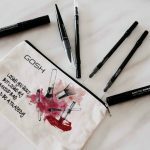 Gosh cosmetics recently launched their all new range of liquid lipsticks. We received some of these shades to try out and after wearing them for a good few weeks we can now give you guys a detailed review on these. To start off with, the packaging is smart and sleek with a matte top applicator that is super comfortable to use. The formula applies like a dream! It has a smooth cream like consistency that ensures it’s not too hard on the lips. We always prefer lipsticks like that simply because they don’t dry out the lips and they look and feel super hydrated. 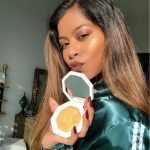 We’ve been SO obsessed with the color range and most importantly the formula. Lately, I always find myself reaching out for these. 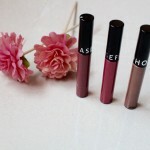 They’re the kind of lipsticks that you can just put on your lips and forget about! They don’t feel tacky or sticky and are extremely long-lasting. (NO TOUCH-UPS!!) Although the scent could be a little overpowering, I personally don’t have an issue with this but this might be a downside for some others. 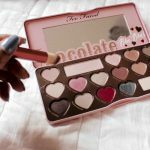 The only shortcoming that I’ve come across is that due to the whipped cream- like consistency the lighter shades are not as pigmented and needs to be built up a little for a more intense color pay-off. All in all, this product is definitely a win for us and we cannot wait to try out other colors from the same range. 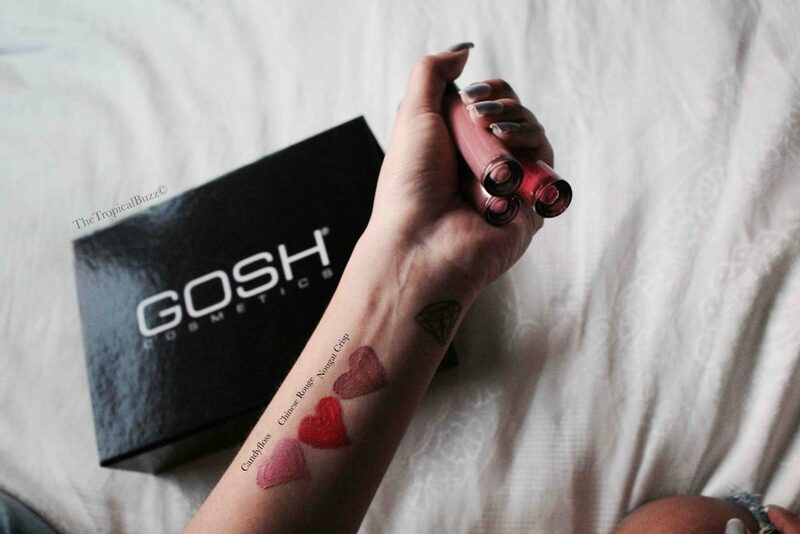 Gosh Liquid Lipsticks are now available to purchase in all Lifestyle stores and are priced at 75 AED each. ← Pom pom trend: Good bye summer!